Theres a madness in the air and its all about love, this evening its the remembrance services and commemorations of the one love, Manchester concerts to mark the year since the tragedy at the concert. But its love that caught the imagination on Saturday lunchtime, yes the love between Harry and Meghan, their looks, glances and lip-read comments (thanks ITV for this detail). 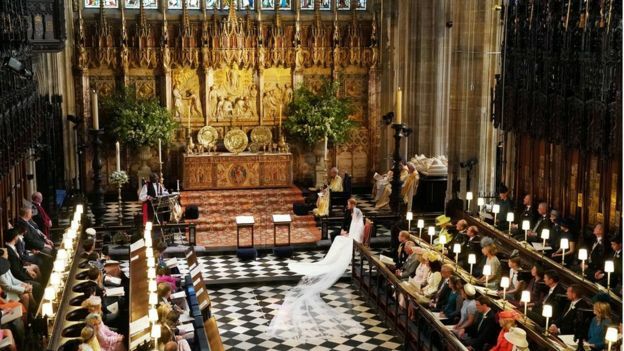 Though the media might want the story to be about the dress, the gowns, the crowds and the dance (their first dance was Witney, apparently they did want to dance with somebody), the stand out performance on the day was of the sermon given by Bishop Curry of the US Episcopalian church. …Dr King was right: we must discover love – the redemptive power of love. And when we do that, we will make of this old world, a new world. One of the points that seems to have been made subsequent to Bishop Curry, certainly by the few comments on social media by the ‘non christians’ is that he made Christianity look attractive, sound passionate, and mean something, and be about love that changes and transforms, love that frees and love that creates a better world. It appears a surprise to many that this is what Christianity is all about. And maybe theres reflection to be done on why this message hasnt been heard before, or been allowed to be heard. Its not as if the church hasnt talked about love, but maybe it hasnt done in public, maybe a message of love and social justice has become too separated, or maybe, its the only time a 14 minute sermon is heard in its entirety in the public stage and so, it can be more than a soundbite or the interpretation of the news reporter (ie ‘the pope used his christmas message to say X, the archbishop Y’) . However, this blog is about youthwork and youth ministry – and where is the love in that? Well quite. We could be mercenary at times, but more rarely that we might be passionate, dedicated and over committed, usually going beyond the call of duty to accomodate, help, support, and journey alongside a young person. But has the language of love, passion and dedication gone a little out of fashion? A glance through some of the recent youth work & ministry books, and there are models, methods, ideas, theologies. processes, practices, thinkings, approaches, philosophies and venn diagramms, how tos, not to’s and go to’s. But little on feelings, on emotions, on compassion, on love. The greatest of all. Dig a little deeper and thinking theologically, or philosophically about youthwork and ministry and love, compassion and respect figure. And undoubtedly many youthworkers and ministers burn out through over commitment and passion. And leave posts potentially because their respect for young people might not translate into strategies of growth and attendance – where views of love differ.. Love does seem to motivate youth workers, more than calling – dont you think? We, the church, really has at times messed up with young people, not loved them enough to be more inclusive, to be more patient, to ready ourselves for the challenge of youth ministry (thinking it was easy, or about keeping things simple), and on other occasions we ban, prevent, exclude the kind of young people for whom love might be absent, yet the plea for a searing compassion, a love for young people who are intrinsically different to the many in the church, or the adults in society is still to be sought for. Love plays its part in thinking theologically about youth ministry thats for sure, for God is love, and this must be the motivation. Yet love might be hidden behind so many of the things that we talk about , that it might be hard to find – especially when talk is growth, strategy and institution – where is the love?. If we love young people – would we judge them?, would we clump them together as a generation? If we love young people – would we talk about them – without them? If we love young people – do we blame them, shame them, or find a way to exonerate them? If we love young people – are we with them, for them, and alongside them? If we love young people – do we fear them, or hear them? If we love young people – are they trusted? If we love young people – do we challenge them, push them, prize their gifts open? If we love young people – what might youth ministry be like with them? I would hope that in the vast majority of situations young people who encounter youthworkers leave feeling more positive, different and changed for the better, and this surely is the case. But talk of love has been thrust square and centre this week. Maybe its time that love became more central to even more of what youth ministry is all about. 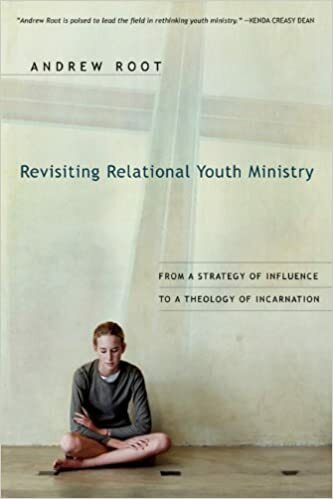 Maybe on another hand, young people might know that the church is about love because of the actions they have experienced from a youthworker, the time, effort, energy and space provided, given at personal cost. Maybe its just the community at large and the media that didnt realise that christianity was about love. Maybe, love is what youthworkers have been sharing with and telling young people about for years and decades. Maybe that ‘loving relationship’ with Jesus, hasnt been made meaningful enough through transforming actions that change the world – and many young people would be up for world changing (often its parents and consent forms that prevent it). When love is the way… who should stop young people? When love is the way, young people might need to be participants of it, not just recipients of it. When love is the way, it needs to be given away.